Emmanuel Macron's decisive victory in the French Presidential election has been widely celebrated as a blow to the resurgence of populism in Western nations. But this one-off, ostensibly 'establishment' triumph shouldn't be taken out of context or proportion. Macron, who netted 66.1% of the final vote compared to Marine Le Pen's 33.9%, appears to be yet another elitist politician and easy target for populists. He attended private school - after his parents removed him from the prestigious public Lycée Henri-IV for dating his teacher, and future wife, Brigitte Trogneux. A former investment banker, his sudden rise to political prominence was preceded by a number of minor, but influential, governmental roles. Appointed deputy secretary-general of the Élysée under former French president François Hollande in 2012, he was promoted to the cabinet as Minister of Economy, Industry and Digital Affairs in 2014, where his pro-business reforms polarised parliament. Macron appears to be a typical product of affluence. Election commentators were quick to paint him as an orthodox, establishment politician: wealthy, educated, well-connected and unlikely to offend. 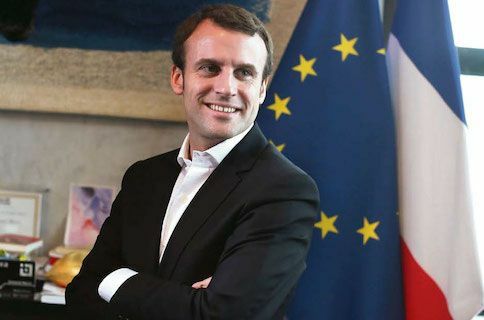 Nonetheless, he was able to present himself as an unknown maverick throughout the election, standing as an independent under the banner of ‘En Marche!’ - a political movement, not a party, which he founded in April 2016. The reality is that Macron is a hybrid: a proud centrist and strong advocate of the EU who refrained from making partisan pledges, but greatly relied on the momentum of populism to carry him to electoral success. It's important to remember that Macron’s rivals weren’t typical political figures either; in fact, quite the opposite. Le Pen - hard right, anti-immigration and anti-EU - tapped into the climate of fear and distrust catalysed by the recent waves of terrorist attacks in France. Firebrand leftist Jean-Luc Mélenchon shared her distaste for the EU, and ran an excellent insurgent campaign - making use of holograms and even creating his own online video game, Fiscal Kombat - to place fourth in the first round. The other frontrunner, right-winger François Fillon, was beleaguered by claims of nepotism financed by public funds. Benoît Hamon, running for the unpopular Socialists, finished with a dismal single-digit score. None of Macron's rivals were conventional bureaucrats in the style of Hillary Clinton. Therefore, presenting the election as a victory for the establishment over insurgent rabble-rousers is misguided. France now has a president who's never held elected office, a situation that would have been perceived as a startling rejection of the 'ruling class' five years ago. Instead, EU administrators and the liberal commentariat breathed a sigh of relief as the continuity candidate prevailed. Macron's refusal to fit the establishment mould, and the cast of fellow misfits he ran against, undoubtedly helped him win. He will have a tougher time navigating challenges in the coming months. For instance, he may struggle to build a functioning cabinet from a small, sophomoric base. He will also face pressure to tackle the looming threat of terrorism. Success on both fronts will be vital if he hopes to win a potential rematch with Le Pen or another right-wing candidate in 2022 - a contest that many commentators expect to be the real battle for France's future.